If you’re like me, you sometimes feel conflicted between your sweet tooth and salt tooth (is salt tooth the right term? who knows). 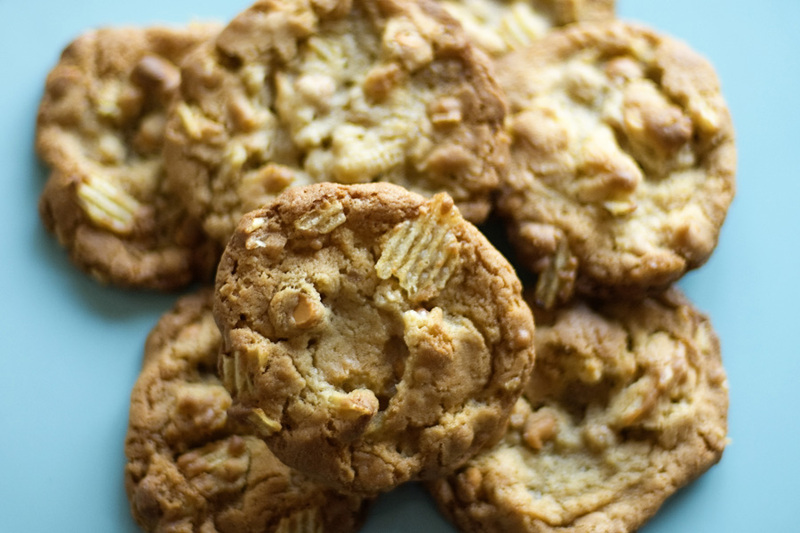 On the days that you have this taste bud struggle, make a batch of these cookies. They have salty potato chips AND sweet butterscotch morsels! Perfect combination! 1. Cream shortening and sugars until light and fluffy. Beat in eggs, one at a time. Combine flour and baking soda; gradually beat into the mixture. Stir in the chips and butterscotch morsels. 2. Place tablespoon-sized balls on an ungreased cookie sheet. Bake for 10-12 minutes at 375F.